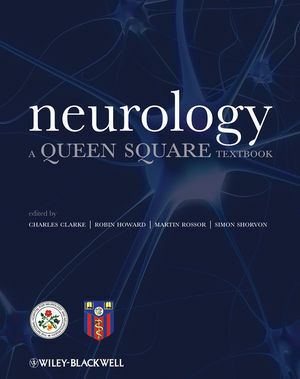 Neurology: A Queen Square Textbook is a remarkable fusion of modern neuroscience with traditional neurology that will inform and intrigue trainee and experienced neurologists alike. Modern neuroscience has penetrated exciting and diverse frontiers into the causes, diagnosis, and treatment of neurological disease. Clinical neurology, whilst greatly enhanced by dramatic advances in molecular biology, genetics, neurochemistry and physiology, remains deeply rooted in practical traditions: the history from the patient and the elicitation of physical signs. The blend of new science and proven practice underpins this creative approach towards investigating and improving the care of patients suffering from neurological diseases. The world-renowned National Hospital for Neurology & Neurosurgery and UCL Institute of Neurology, based in Queen Square, London, have an international reputation for training, research and patient care. Research at both institutions leads developments in translational medicine that are transforming the treatment of neurological disease. Dr Robin Howard has been consultant neurologist at the National Hospital and St Thomas' Hospital since 1992. He has a large general neurology NHS practice and is consultant to three neurological intensive care units as well as directing clinical services for patients with motor neurone disease, myasthenia gravis and sleep disorders. He has written extensively - more than 100 peer reviewed papers and 30 review articles/book chapters. Professor Martin Rossor has been in consultant practice since 1986. He is Professor of Neurology at the Institute of Neurology, honorary consultant neurologist at the National Hospital and St Mary’s Hospital. His particular clinical and personal interests are degenerative dementias and cognitive neurology. Professor Simon Shorvon was appointed consultant neurologist at the National Hospital in 1983. His special interests are in epilepsy, imaging and epidemiology. He was previously Medical Director of the National Society for Epilepsy, the leading UK charity in the field of epilepsy and Chairman of the University Department of Neurology in UCL. He has published over 250 peer reviewed articles and 100 chapters and books. 1. Neurology Worldwide: the Burden of Neurological Disease. 2. Nervous System Structure and Function. 3. The Language of Neurology: Symptoms, Signs and Basic Investigations. 4. Stroke and Cerebrovascular Diseases. 6. Epilepsy and Related Disorders. 7. Cognitive Impairment and Dementia. 8. Infection in the Nervous System. 9. Nerve and Muscle Disease. 10. Multiple Sclerosis and Demyelinating Diseases. 16. Cerebellar Ataxias and Related Conditions. 17. Restorative and Rehabilitation Neurology. 18. Toxic, Metabolic and Physical Insults to the Nervous System. 19. Disorders of Consciousness, Intensive Care Neurology and Sleep. 25. Systemic Conditions and Neurology.